Mickey Kasparian dodged a bullet last week when top officials of the San Diego County Democratic Party voted not to kick the labor leader off its Central Committee. 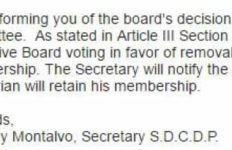 According to a note obtained by Times of San Diego, the 11-member executive board March 7 failed to reach a two-thirds vote on a request to remove him. 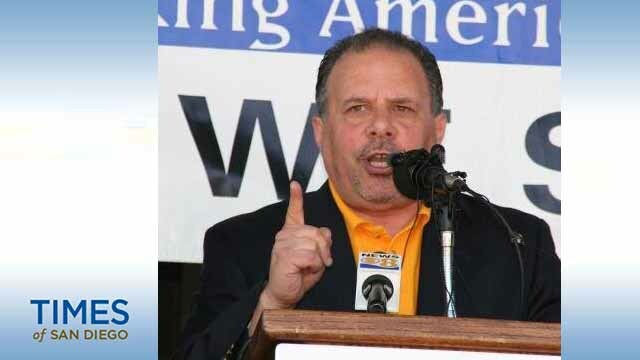 “Therefore Mickey Kasparian will retain his membership,” wrote party secretary Anthony Montalvo. The news was confirmed by three party members who didn’t want to be named. The local Democratic Woman’s Club, upset at a series of lawsuits against the local UFCW president by at least three former or current female employees, had written the county party supporting Kasparian’s accusers and apparently calling for his ouster. Local Democratic leaders didn’t immediately respond to requests for comment. Nor did Kasparian, who controls substantial fund-raising and manpower resources for Democratic candidates. But the organizer of a campaign to remove Kasparian from his local posts (including president of the powerful San Diego and Imperial Counties Labor Council) said he was very disappointed by what he called the “executive board’s inaction” on allegations against Kasparian. “One would think that in the age of Trump that Democrats would seek to oppose the type of behavior allegedly committed by Kasparian — that they would seek action and condemn them. But no,” said the leader, Brent Beltrán. Montalvo’s note said he would notify Kasparian of the decision, made in closed session. Last month, close to four dozen Democrats and activists sent a letter to the local and state Democratic Party and two labor groups calling for an investigation of Kasparian and having him step aside in the interim. And on Friday, San Diego Free Press posted a scathing 950-word column under the byline “Anonymous Is a Woman” that noted the local Democratic Party’s support of men accused of abusing women. Named were disgraced Mayor Bob Filner, former county Supervisor Dave Roberts, city attorney candidate Rafael Castellanos, congressional candidate Doug Applegate and Kasparian. “The silence from labor and party leadership, elected officials, progressive allies, and women’s organizations is deafening,” the writer said. For his part, Beltrán plans to continue pursuing Kasparian on behalf of “Las Tres Hermanas” Isabel Vasquez, Sandy Naranjo and Anabel Arauz, whose allegations Kasparian denies. “If the local Democratic Party won’t take action to [rein] in one of their leaders, then the community will take action against the party and stage a protest at their upcoming Central Committee meeting on March 21,” Beltrán said. Meanwhile, a lawyer for Arauz says he’s planning another lawsuit involving Kasparian. Attorney Dan Gilleon says Nohelia Ramos Campos of Grant Hill alleges she and her husband were pressured to express support for Kasparian and denounce the lawsuits filed against him by Naranjo and Vasquez. The claim with the state Department of Fair Employment and Housing was reported Monday by the San Diego Reader’s Dorian Hargrove. 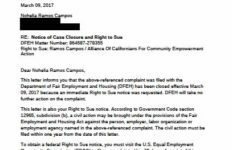 Campos works for the San Diego office of the Alliance of Californians for Community Empowerment Action, and her husband was an employee of SEIU Local 221 before he allegedly was fired over failing to honor the ultimatum. “The lawsuit in Superior Court is expected within 30 days,” Gilleon said.